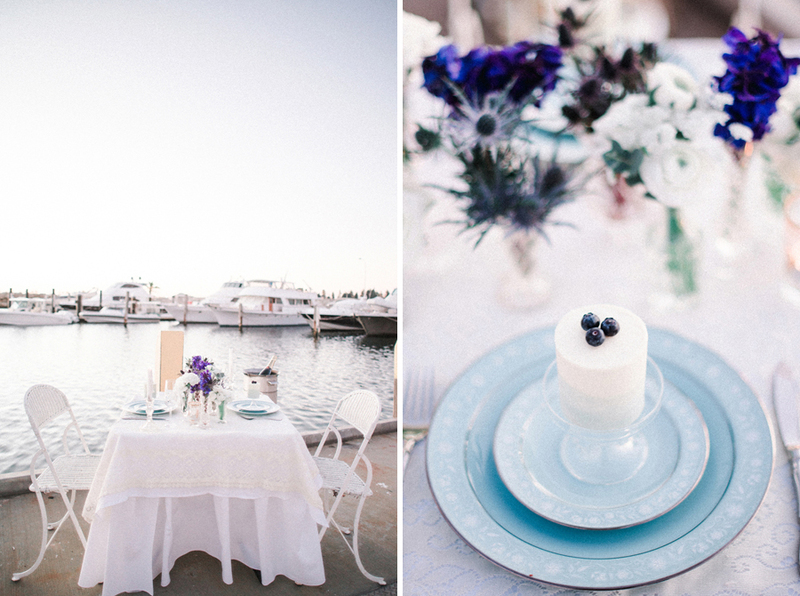 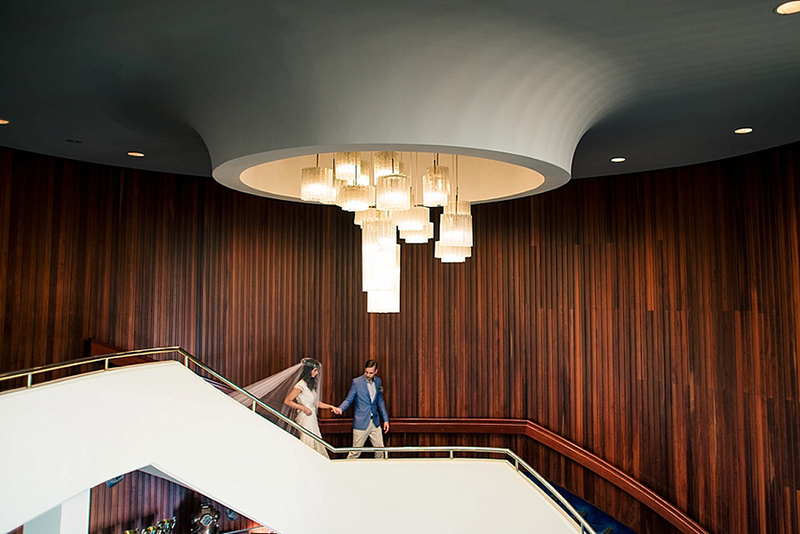 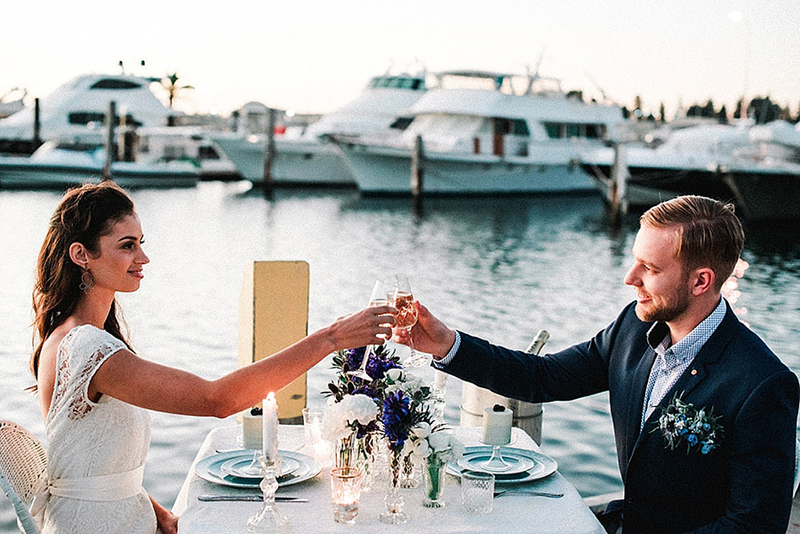 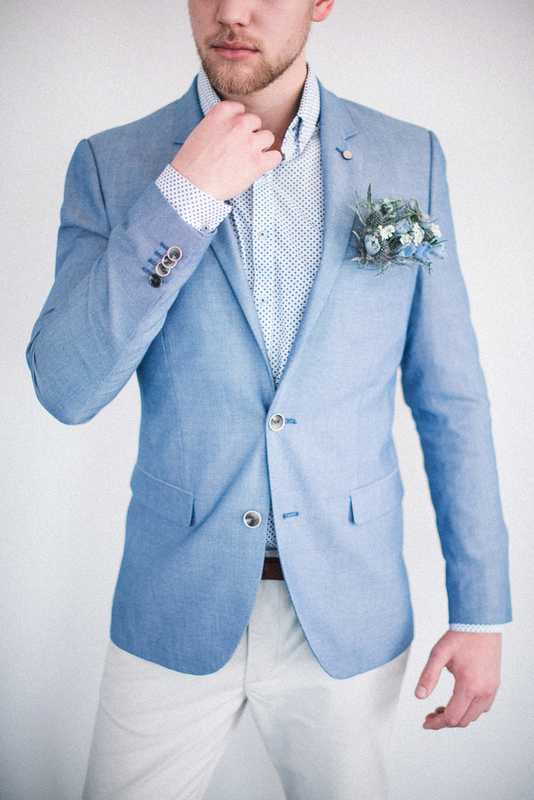 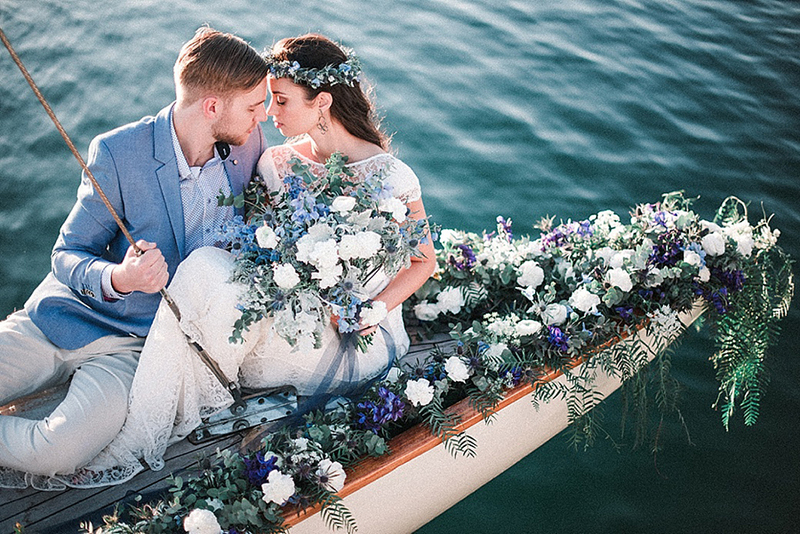 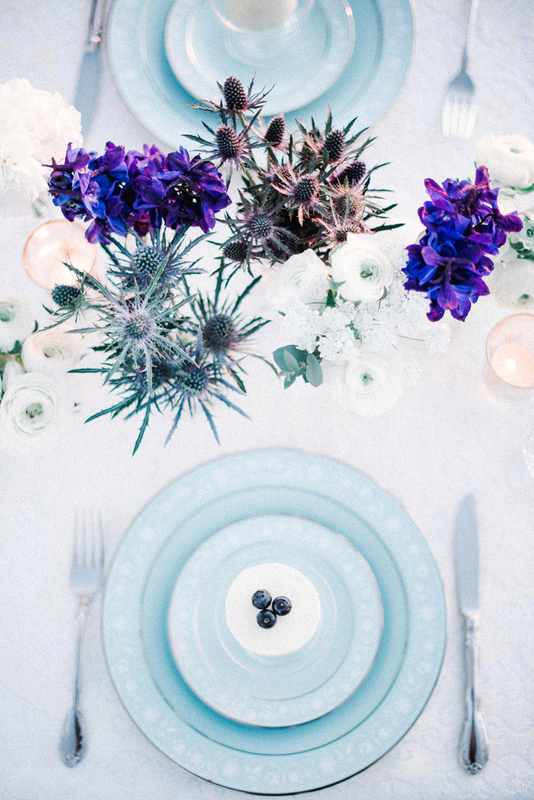 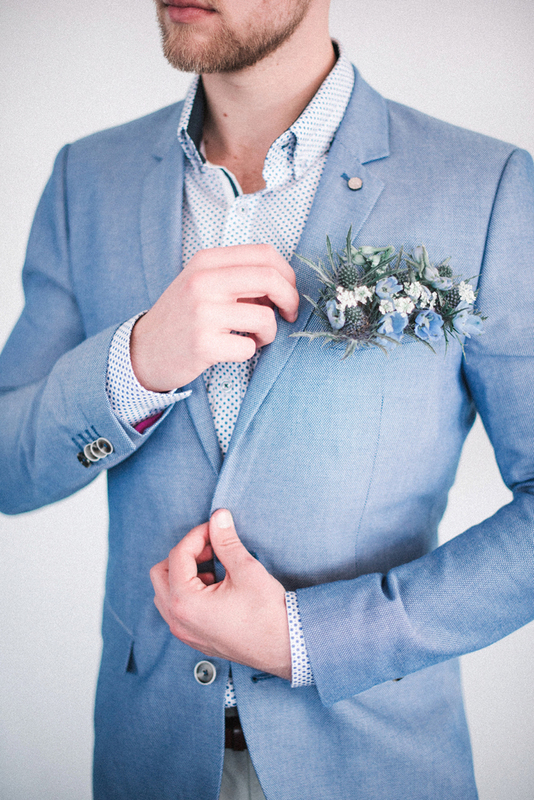 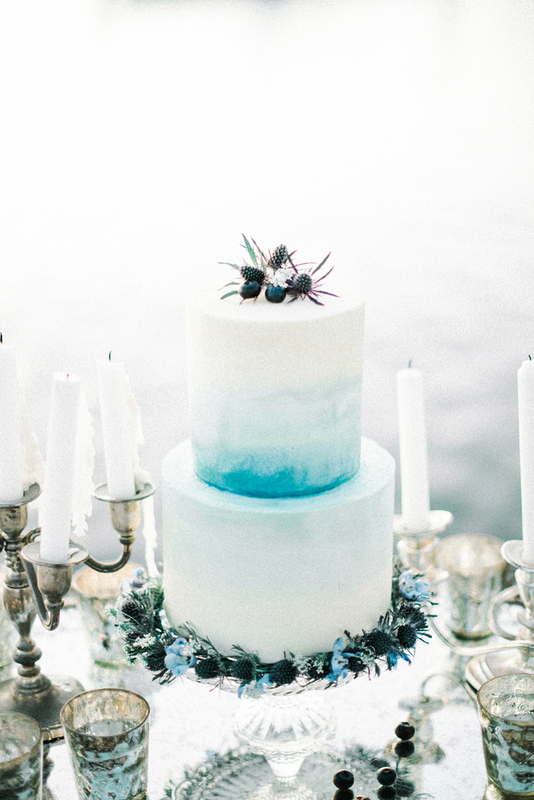 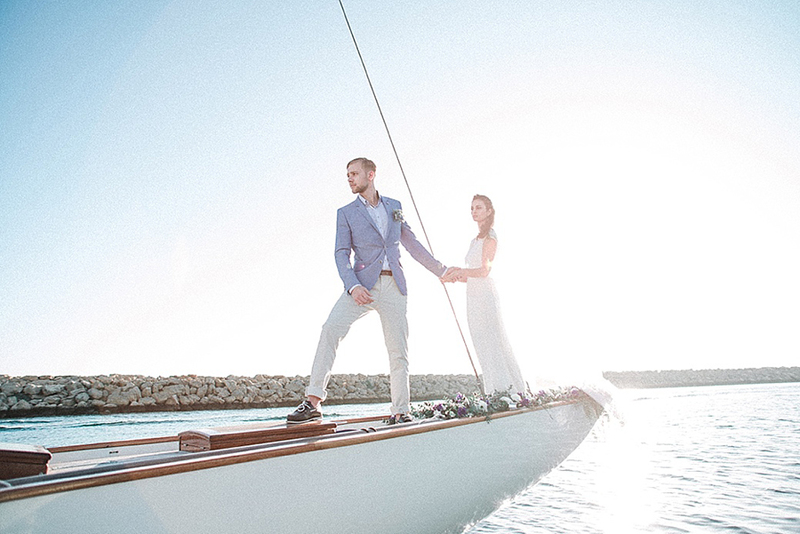 If you’re considering exchanging “I dos” in a seaside, yacht or nautical-themed wedding, you’ll be won over by the blend of calming powder blue against the deep blue sea in today’s styled shoot captured by Ben Yew. 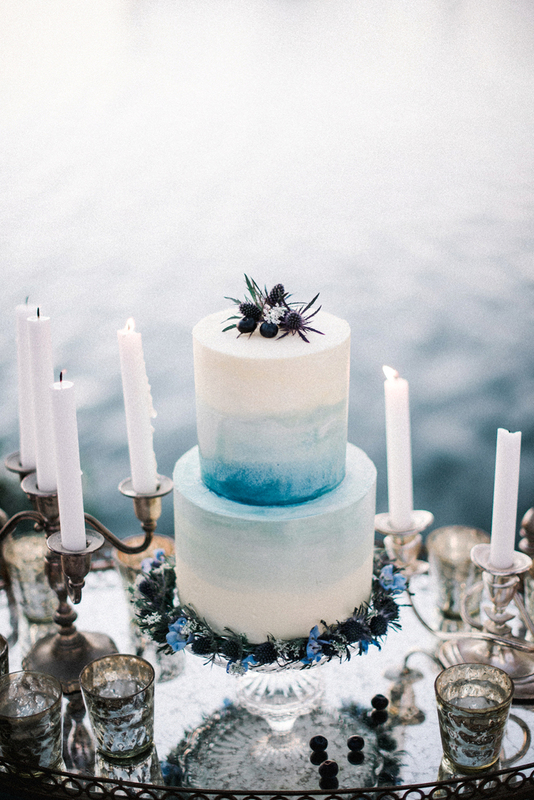 It’s just the start to the weekend we need - we can almost hear the sound of waves crashing and feel the gentle coastal breeze. 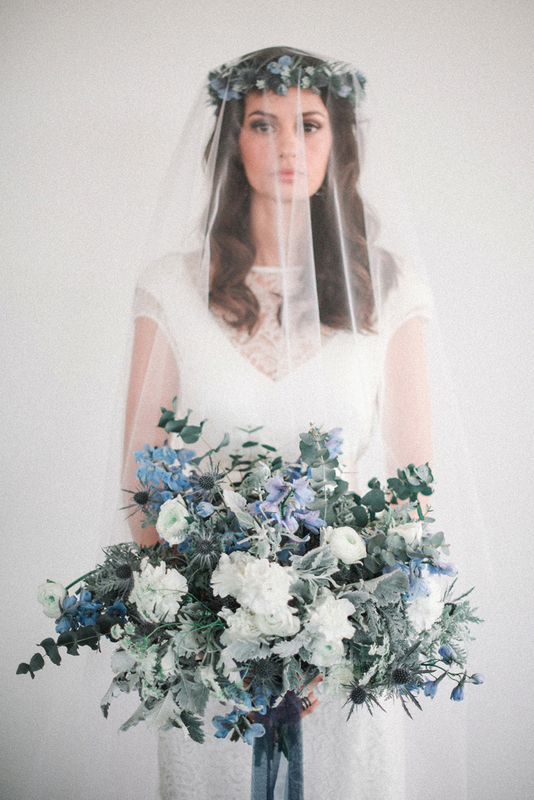 “This was a very interesting styled shoot, as it didn’t turn out as we’d planned. 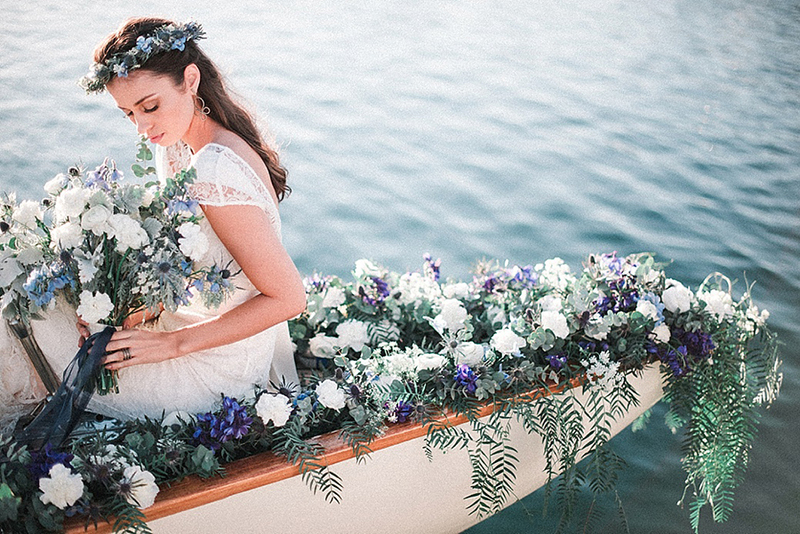 The initial venue rejected our application to have the styled shoot there and we had to re-plan everything including the theme and new location within 2 weeks. 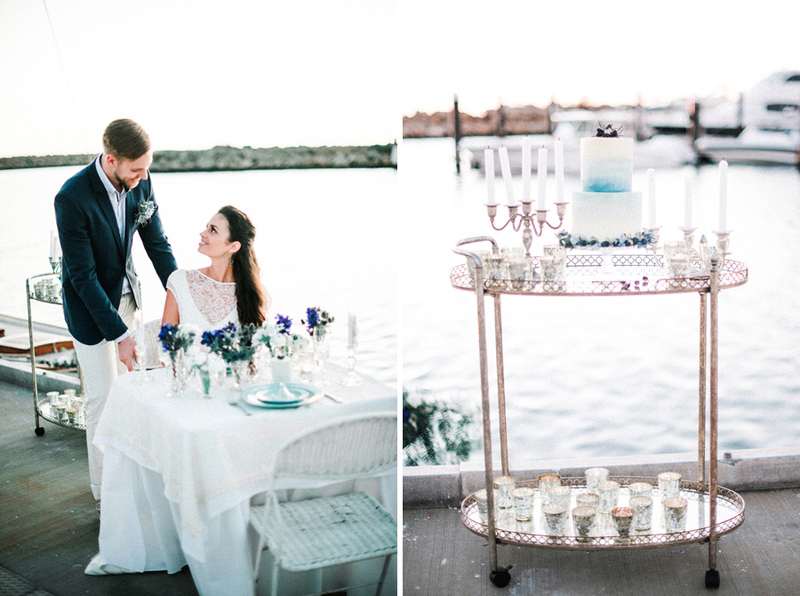 Jappalin of Flower Talk then came up with this idea to have the styled shoot and theme based on this amazing new location, Fremantle Sailing Club, and they said yes! 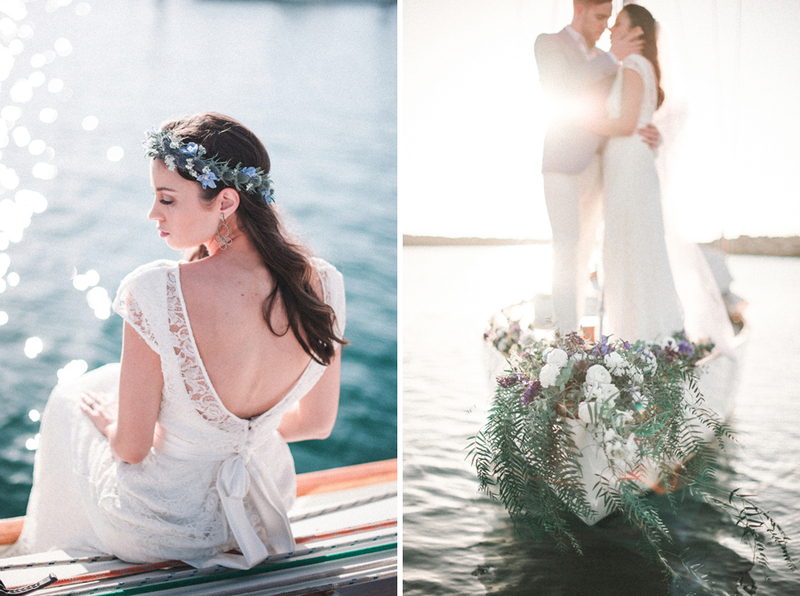 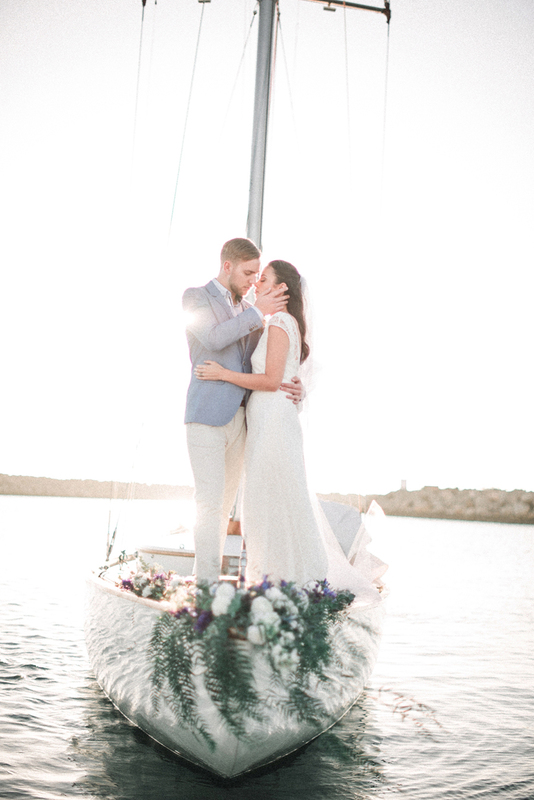 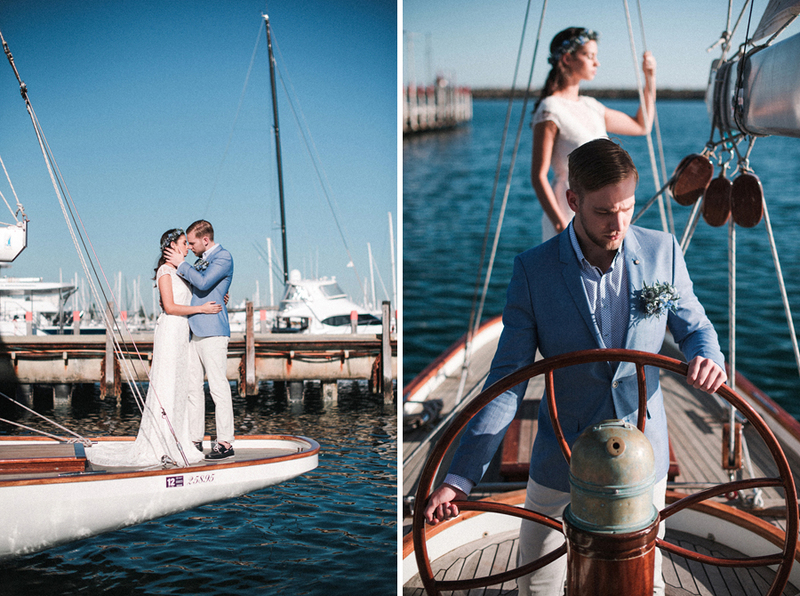 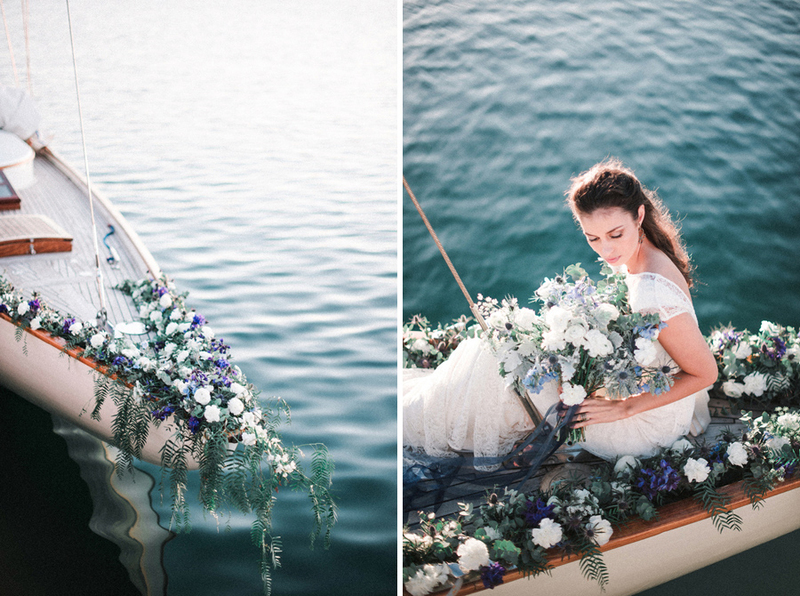 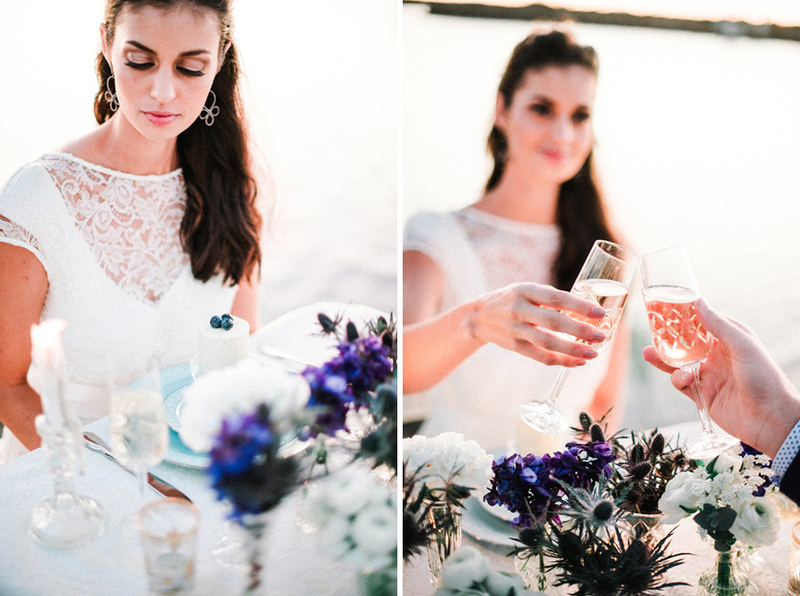 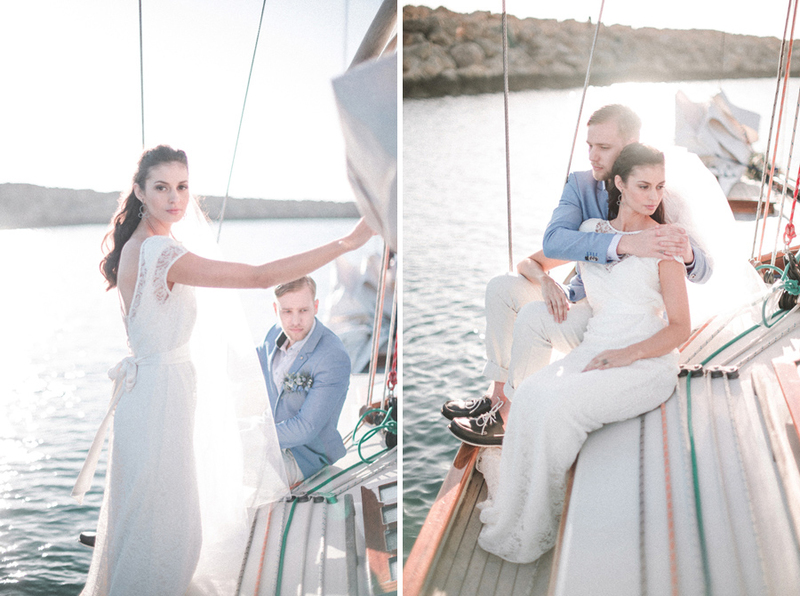 “This inspiration shoot came from one of our best sailing clubs in the port city, Fremantle. 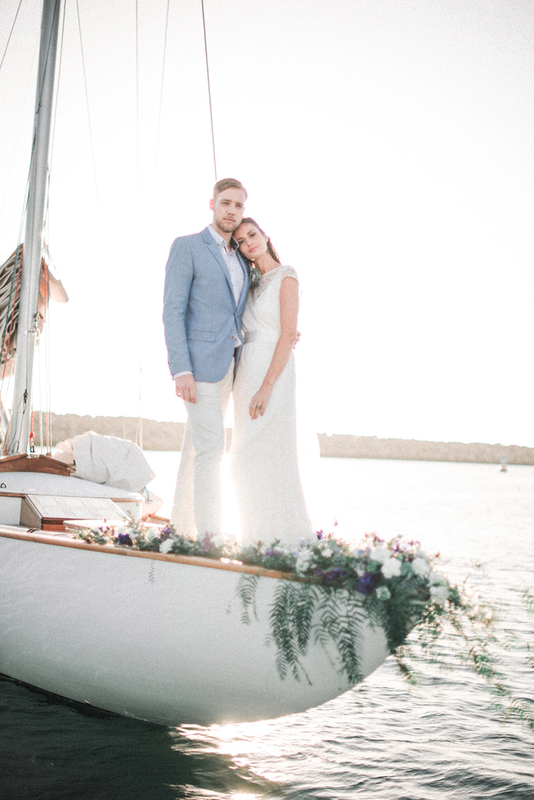 Fremantle Sailing Club was the perfect location for our shoot and we were offered a magnificent sailing yacht called Acrospire! 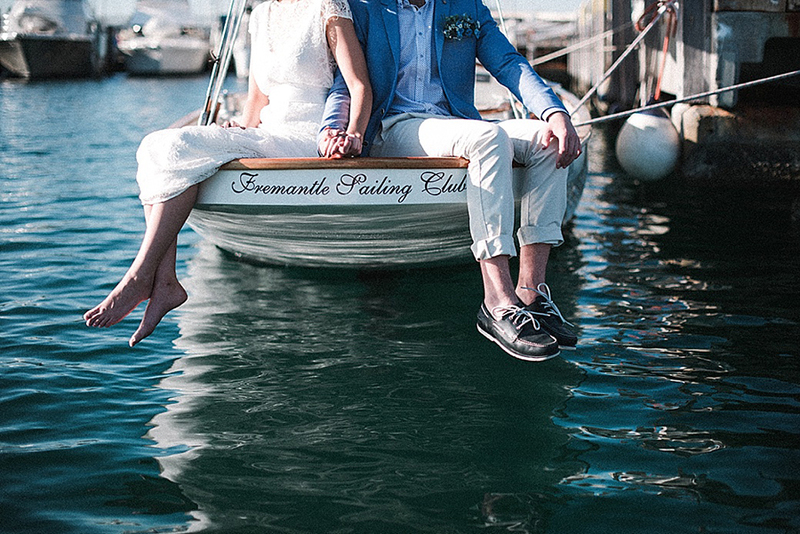 The colour palette of white, blue and grey with touches of green, were used to match the water and the wooden deck of the yacht.